Enterprises and organizations are creating, analyzing and keeping more data than ever before. Those that can deliver insights faster while managing rapid infrastructure growth are the leaders in their industry. In delivering those insights, an organization's underlying storage must support new-era big data and artificial intelligence workloads along with traditional applications while ensuring security, reliability and high performance. IBM Spectrum Scale meets these challenges as a high-performance solution for managing data at scale with the distinctive ability to perform archive and analytics in place. Work for IBM Spectrum Scale? Learning about IBM Spectrum Scale? "Great concept, mostly based on your business partner"
Technology is good but complex at times, and getting helpful support can be a struggle.Excellent team members, information, services, and products. Receiving support was frustrating, couldn't contact or get a hold of any customer service. Do you research and make sure you're partner is informed prior. "IBM Spectrum Scale/GPFS is the BEST clustered filesystem"
GPFS/SS can be complicated to setup properly. * We monitor all IBM Spectrum Scale reviews to prevent fraudulent reviews and keep review quality high. We do not post reviews by company employees or direct competitors. Validated reviews require the user to submit a screenshot of the product containing their user ID, in order to verify a user is an actual user of the product. Hi there! 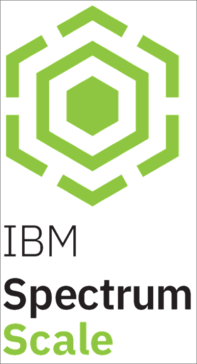 Are you looking to implement a solution like IBM Spectrum Scale?